18 multifunctional furniture ideas perfect for small homes! Knowing how to garner as much space as possible in your small home can be tricky, but using multifunctional furniture certainly helps the cause! Interior designers know this and so, have kept their eyes peeled for innovative solutions that will offer dual or multiple uses, whilst only taking up one spot. It's all clever stuff and we've found what we think are the crème de la crème to show you today. Need and office but don't have the room? We've got you covered. 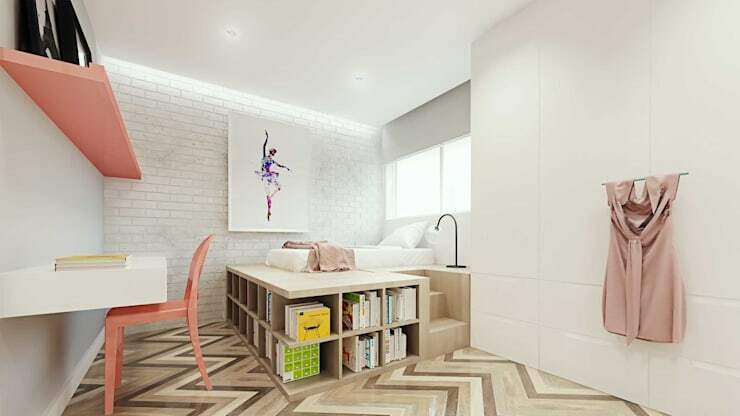 Need somewhere to store your books in a tiny bedroom? We can help with that too! Come take a look now and see how much space you could be saving! The space under your bed CAN be useful, if you have integrated drawers fitted for storing your clothes in. No need for a wardrobe now! 2. A bookcase and a desk. Hollowing out a section of bookcase and adding a small desk is a fantastic way to get more room, more functionality and retain plenty of style. 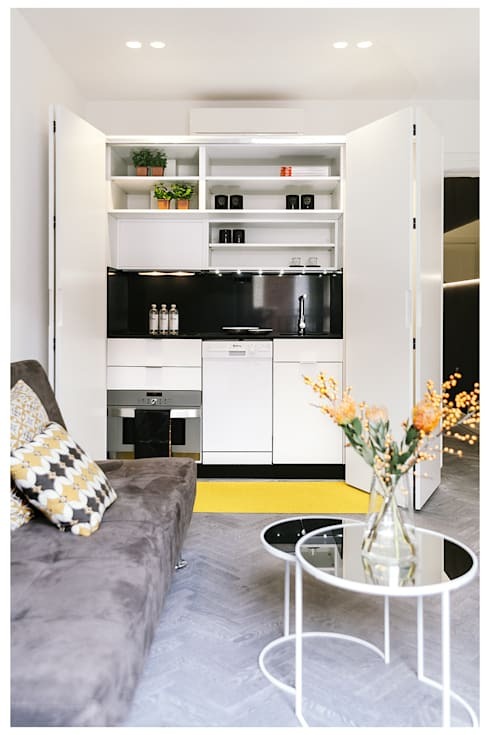 The shelving here makes this handy as a standard cupboard, but being able to also simply hide away a kitchen is a perfect solution for studio apartments! 4. A desk and storage system. 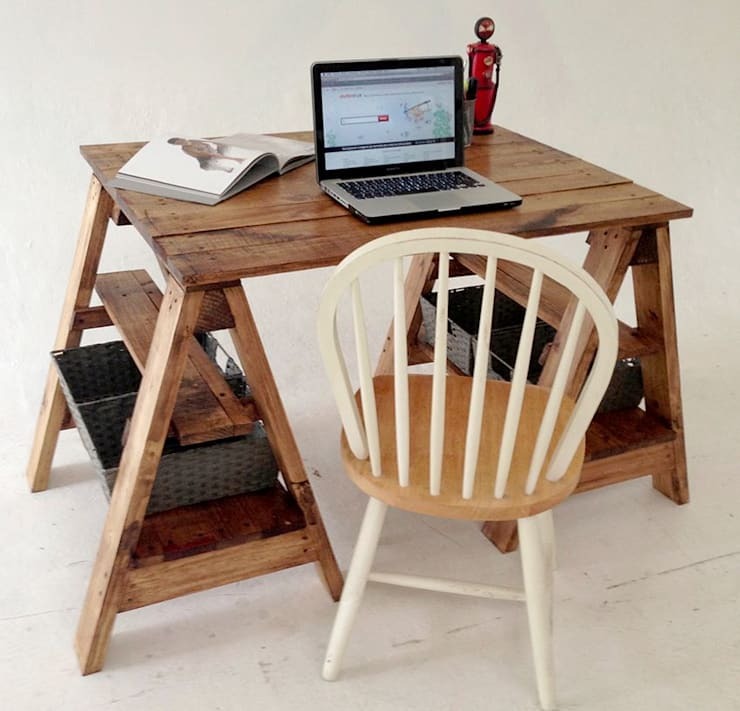 Shelves, a desk and even a dining table in one! This solution has it all and takes up so little room. Perfect for small homes! 5. Coffee tables with a difference. 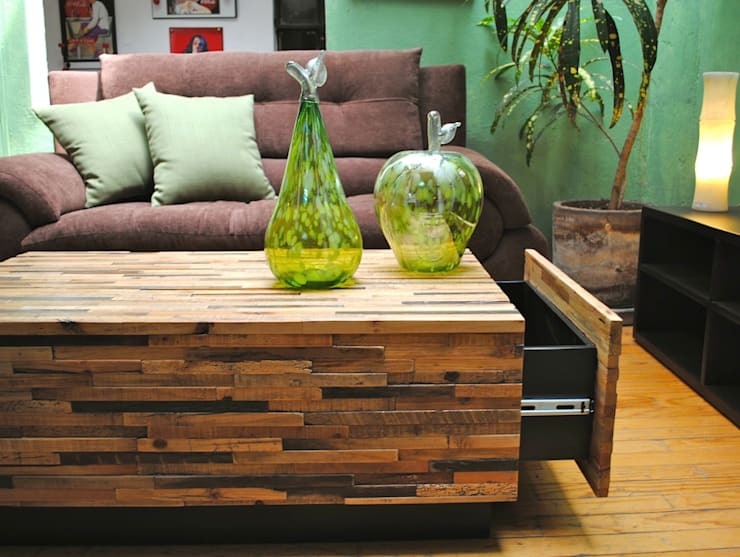 This coffee table would solve all your 'I can't find the remote woes'! You could also store magazines and books in it, for a clutter-free home! 6. 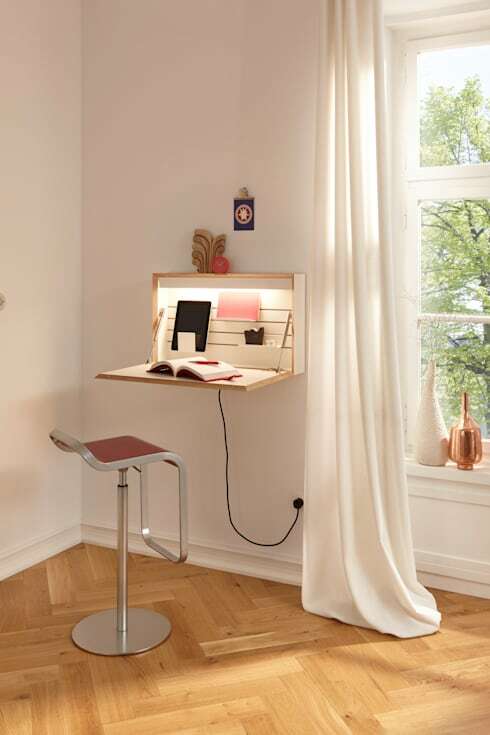 A desk that can be hidden away. This desk and shelving unit is so slimline and sleek that it hardly makes a dent on the floor space at all. Add a chair and it's a perfect workstation and close it all up for a lovely wall shelf. 7. A desk that's also a bookcase AND a room divide. 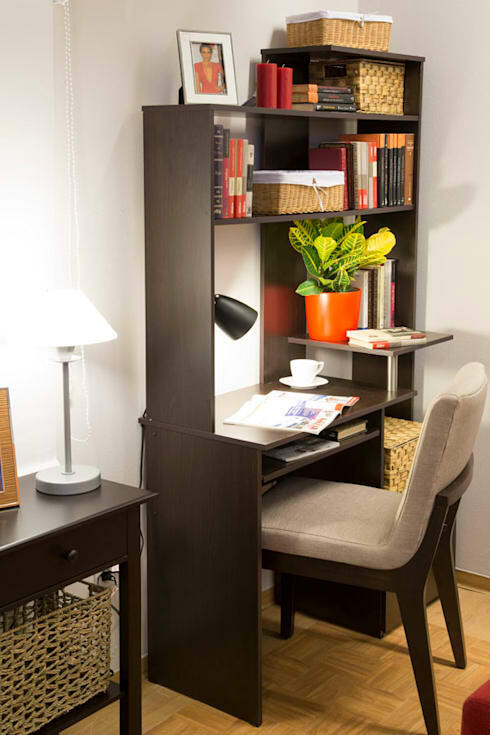 The ultimate in multifunctional design, This bookcase has an integrated desk as well as working well as a subtle room divide. What more could you need? 8. The ultimate organisation desk. 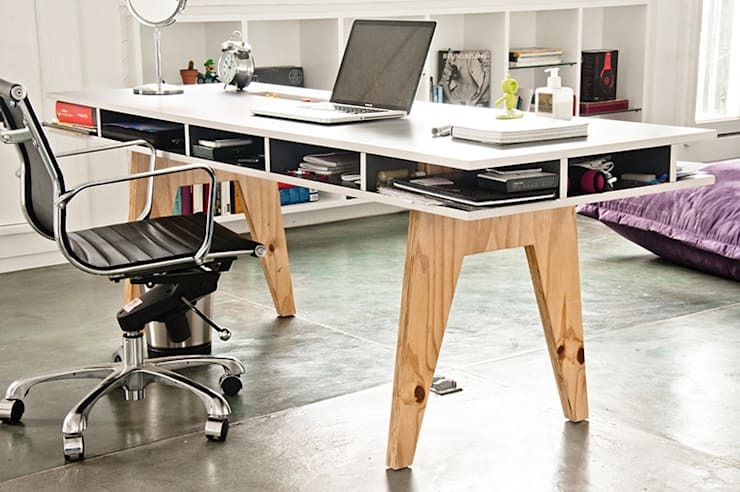 With built-in cubby holes for storage, this desk can be a total office space in one! There are even discreet charging points for tech items too! 9. 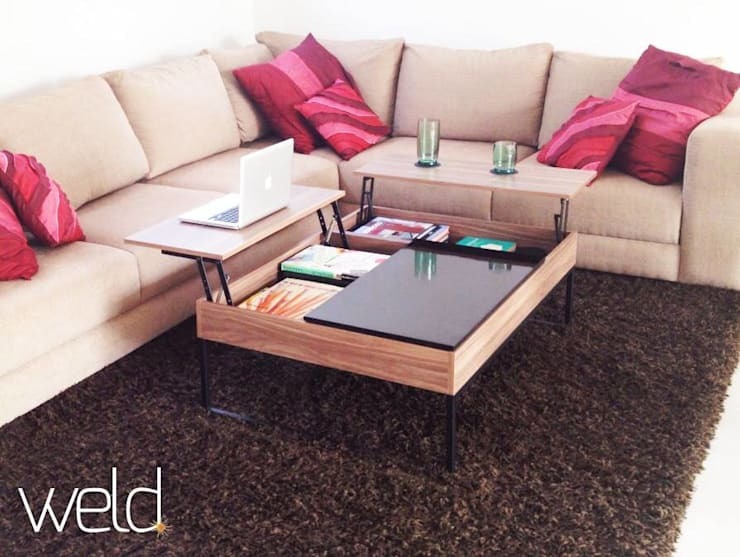 A convertible coffee table. If you want to get on with some work but don't fancy missing your favourite programmes, this is the perfect solution! 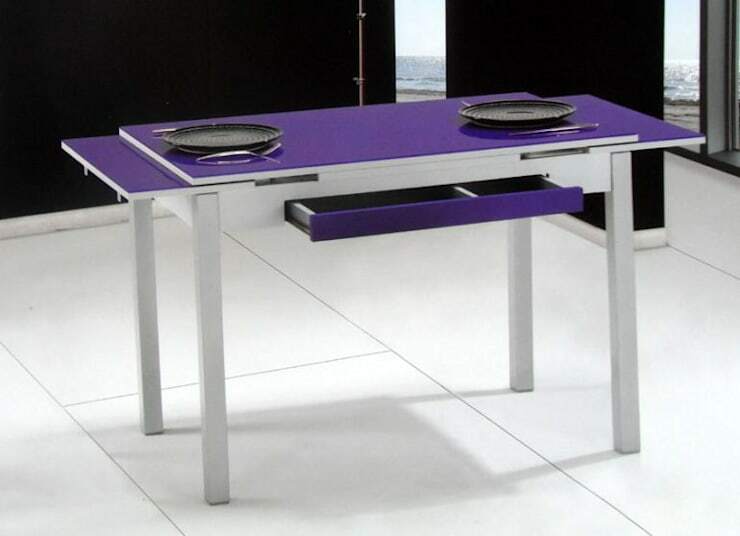 The table lid effortlessly transforms into a workstation for two, so you could even host meetings here! 10. A bed built on storage. 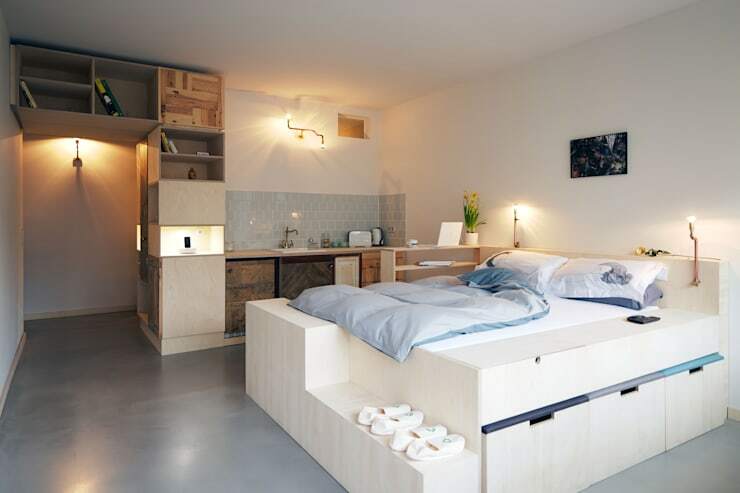 A small bedroom is no problem, if you use the space you have more cleverly. Your bed is an area that is already accounted for, so raising it up and adding storage underneath is perfect! No more bulky bookshelves for you! 11. A shelf and a desk. 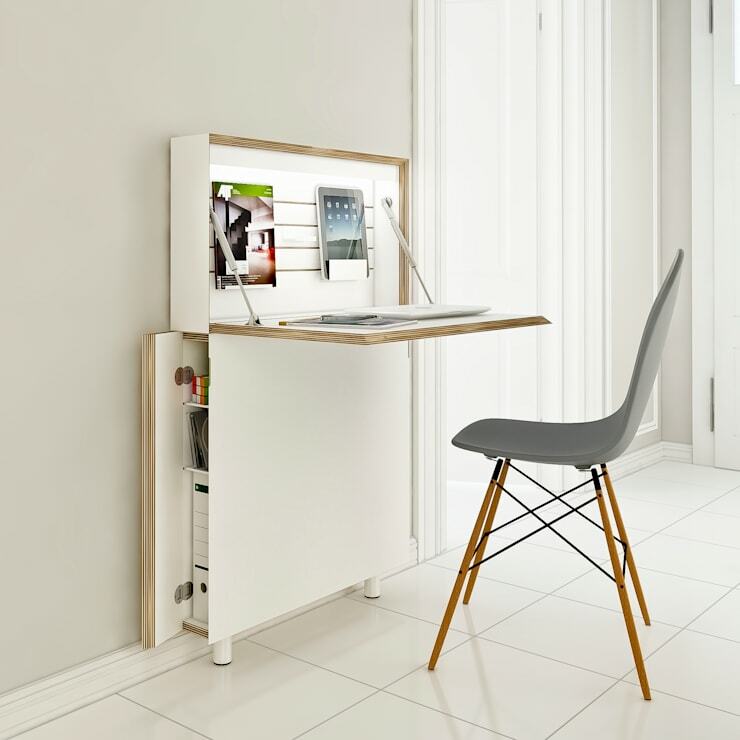 Sweet and petite, this wall-mounted boxy desk design is genius! Simply open it up when you need a workstation and close it again when you don't. When shut, it's a great wall shelf! 12. Somewhere to sleep and store toys. Kids' rooms always get messy but installing a fun storage bed will make light work of keeping the room clear. Make the drawers colour-coded and you kids will love to help too! 13. A TV display with added shelves. 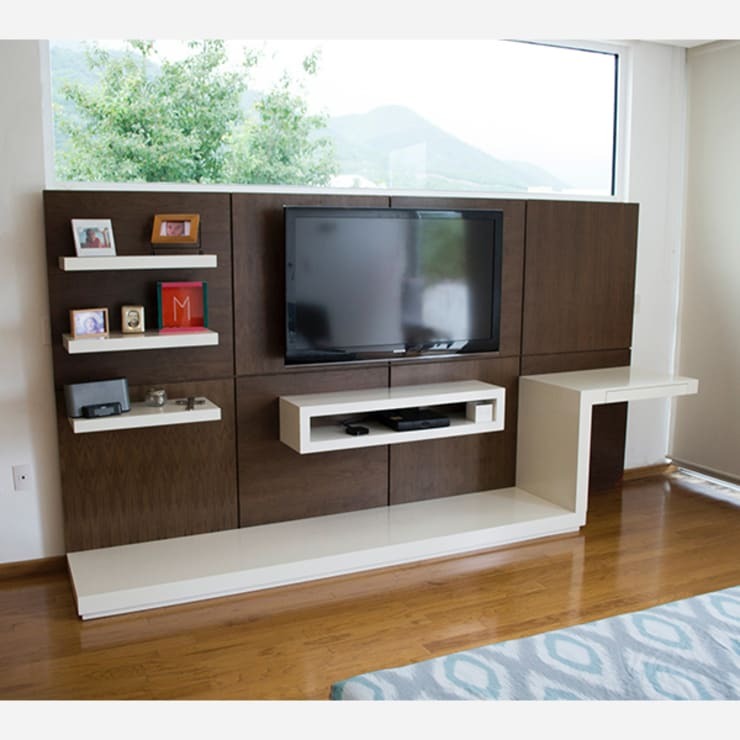 A TV wall shelf will offer a great base for your tech installation, but add some extra shelves and you have an easy gallery wall too. Wow! 14. 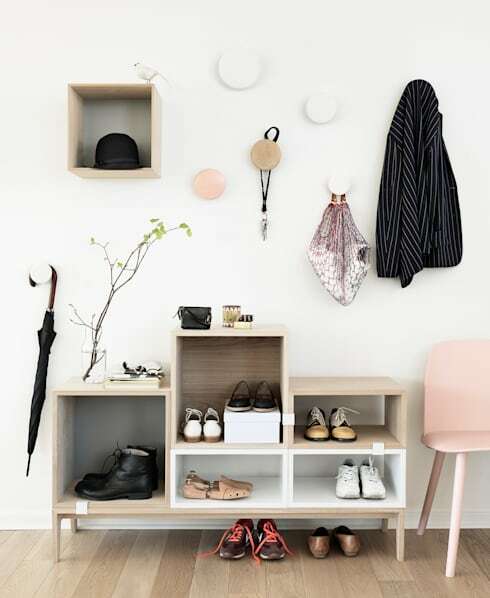 The added-function shoe rack. Perfect for shoes, bags and storing must-haves by the door, this shoe rack has plenty of functionality. Add a seat cushion and it'll be a great bench for putting your shoes on too! 15. 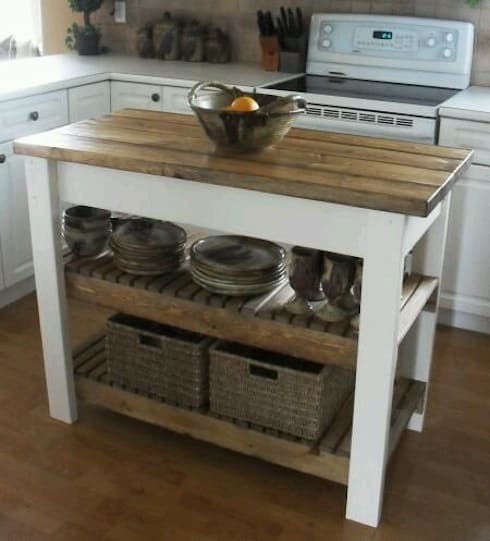 A kitchen island with extra storage. Don't block a kitchen island in, have open-front shelving inside it to free up so much more storage! Perfect for bulky items, you'll get an extra worktop and more organisation! 16. The all-in-one solution for teens. For teens that like their own space, this solution is ideal. With a guest bed, desk and bookshelves all built into the design, they'll be happy (as much a teenager can be!). 17. A transforming dining table. This dining table is fantastic, not only because it's so eye-catching, but also because it can be extended and has integrated drawers for place settings. Now that's design that has really been thought about! 18. The bathroom cabinet that houses a washing machine. 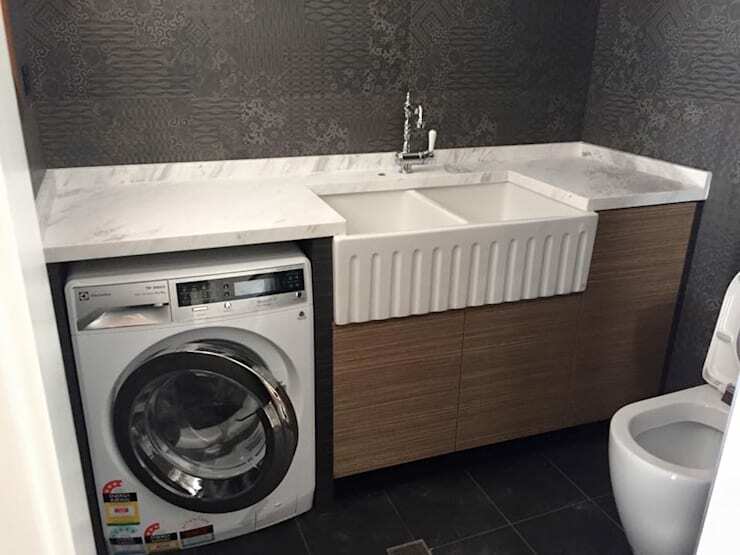 Washing machines frequently take up a lot of space where you need them the most, so pop them into your bathroom, disguise them with a door and you have a winning solution! You can add worktop too, to add even more function! For more amazing storage solutions, take a look at this Ideabook: Clever ideas for more storage space. Which of these ideas could solve some problems in your home?